Bobby D. Courtney serves as the Vice President of Aviation., an integral role which spearheads the growth and success of Turnberry Associates’, Aviation Division – Fontainebleau Aviation. The company caters to the elite clientele that is private aviation. 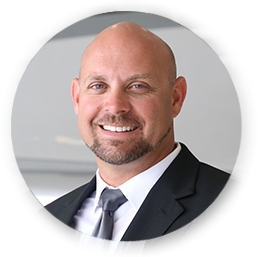 Operating out of Miami-Opa Locka Executive Airport, Courtney has educated his consumers on the infamous brand which defines service and experience. Fontainebleau is not only on Miami Beach; it reaches the aviation world as well. The evolution of the Fontainebleau Aviation brand was made possible through the development of the existing Fontainebleau FBO. Bobby embarked on the concept of developing the new FBO into a dominating facility on the airfield. In 2014, he pioneered the development of the $27 million expansion, which branched the FBO into a 235,000 sq ft. footprint. 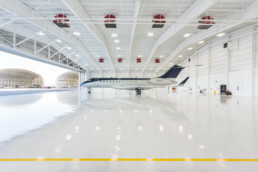 He envisions a full-service facility that comprises of all logistical necessities for every type of operation and service that serves as the touchstone for all private aviation enterprises. Bobby has dedicated two decades to the industry and has been instrumental in maximizing growth in other fast paced, high volume airports. While his dedication to his vocation is meaningful, Bobby is devoted to his family. He instills hard work, commitment, and faith to his three younger children and hopes that they may grow into their successful paths.